Nothing compares to trying boots on and hiking in them. Here's some advice to get the most out of your shopping trip. Try on both the left and the right boots at the same time while wearing hiking socks, not cotton socks. Additionally, consider sock liners. They'll help you keep your feet dry, which is essential to healthy, pain-free, blisterless hikes. Don't just walk a few steps and take them off. Walk around the store, continue shopping, and going up and down stairs if you can. Don't just try them on and arrive in Spain with new boots. Get out and walk and hike in them. Get comfortable wearing them. 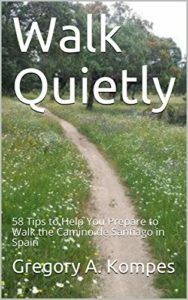 Help them conform to your feet so you'll be ready when you arrive to begin your Camino and won't even have to think of your feet. When traveling to Spain, wear your boots on the plane. 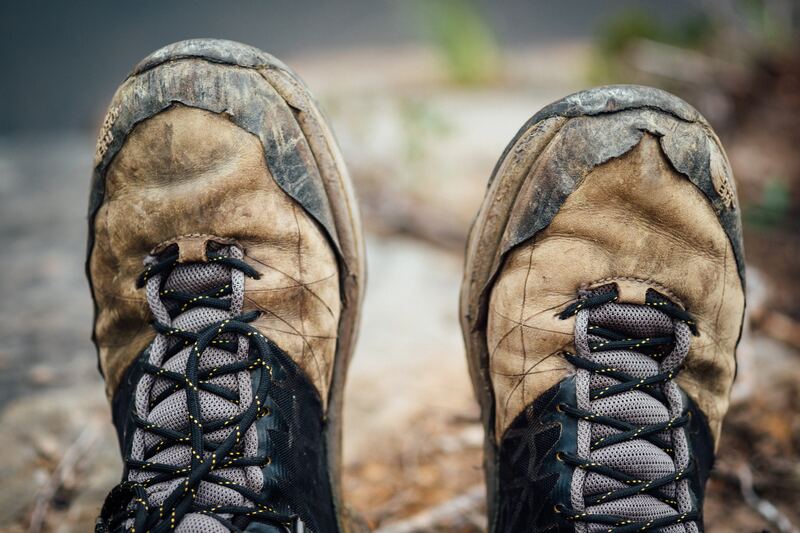 You can replace just about everything else if the airline loses your luggage, but you don't want to start off your Camino with brand new boots. 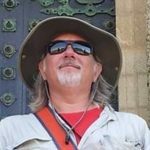 There's nothing worse than finding yourself with blisters or black and blue toes during or after your first day of walking the Camino de Santiago. That's what happened to me because there wasn't anyone to help me pick out my boots. Finding the right pair and breaking them in is the key to avoiding painful feet, not to mention the possibility of causing long-term foot problems. To avoid this pain, there are a few decisions to make. First, what style will you choose? 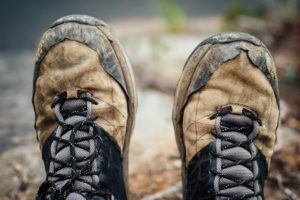 There are four main types of boots to choose from: Lightweight Hiking Shoes, Hiking Boots, Backpacker Boots, and Mountain Boots. The well tramped trails of the caminos often lead folks to choose hiking shoes or hiking boots. If you're carrying a heavy backpack, you'll want bulkier backpacker boots that offer support and better balance. While walking the Via de La Plata, I met folks wearing all of these and even a marathon runner who had chosen running shoes. There's no right or wrong, instead it's based on your needs. Second, what cut of boot is best for you? Do you want a low cut boot for ease of motion? Or, is a high cut boot that keeps your ankles supported at all times better for you? They also make a mid-cut boot that offers easier range of motion and some ankle support. I chose the high cut. I have a tendency to roll my ankles and I didn't want to take the chance on a sprain. Finally, the conditions you expect to hike in will help you determine the boot construction materials. You'll want to take time to understand your boot's construction. The upper boot portions come in leather, cloth, waterproof, synthetics, or a combination of them all. Soles are many layers and combinations of materials. Different polymers and rubbers offer varied levels of comfort, support, protection from the elements, and moisture wick-ability. The time of year, expected rainfall, and temperatures during your walk are the factors to consider here.